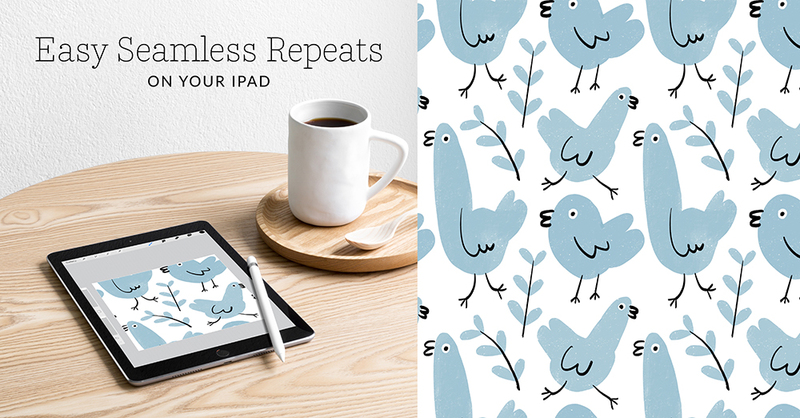 If you’ve been following the blog, by now you’ve learned how to turn your drawings into a seamless repeat in eight easy steps, seen how to design a seamless repeat in Procreate with Anda, and how to take your drawings from paper to pixel with Photoshop. So what else could there be to learn? We’re so glad you asked! 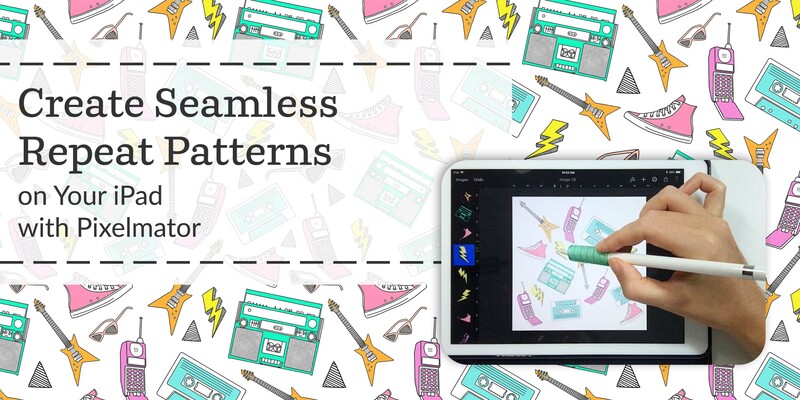 Today we’re welcoming Liz Brown, one member of the dynamic duo better known as Thin Line Textiles in the Marketplace, and Spoonflower team member, to share how to create a seamless repeat on your iPad with Pixelmator. This design tool is your one-stop-shop for creating, editing and enhancing your images. Does mastering the art of seamless repeats feel like the pinnacle of your surface design journey? We’ve got a not-so-secret truth to tell you—they’re easier than you might think! Spoonflower designer Anda Corrie is demystifying seamless repeats using the budget-friendly (just $9.99!) design tool, Procreate®, and her trusty iPad.